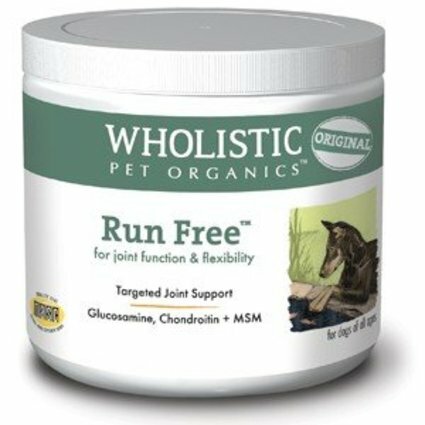 Wholistic Run Free™ is a synergistic blend of proven nutraceuticals that provides superior joint support. 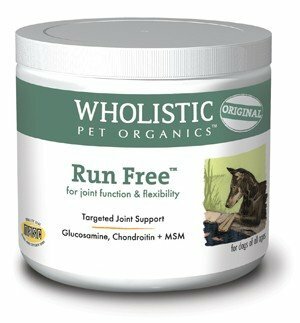 Wholistic Run Free™ exclusively targets joints and their supportive structures. It can be used in conjunction with Canine Complete Joint Mobility™ for dogs requiring more joint support, or used alone. Wholistic Run Free™ can also be adjusted according to an individual dog's needs. Joints are constantly undergoing normal remodeling through a process of “wear and repair”. It is the damage to the “cartilage matrix” that allows elbows, hips, and other joints to become weak and to lose elasticity, resulting in compromised joint health. However, while degradative forces are at work, other cells are rebuilding the same cartilage. Give your pet a new lease on life!